Stand Up For the Arts in America! The arts are an essential part of our lives. The arts help us connect to one another, improve our quality of life, and create bridges to understanding amongst divergent points of view. By now, you have probably heard that overtures at the federal level are being made to eliminate the National Endowment for the Arts, the National Endowment for the Humanities, and to privatize the Corporation for Public Broadcasting. This decades-old proposal from the Heritage Foundation and House Republican Study Committee is expected to be included in this year’s Congressional House Budget Resolution. In our ever-changing current political environment, the threat is even more substantial. 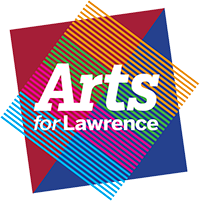 For 50 years, the National Endowment for the Arts has supported arts organizations of all sizes and artistic disciplines here in central Indiana funding quality arts programs, exhibitions, festivals, educational experiences, and performances that have educated our youth, enhanced our communities, and touched our lives. Last September, the Arts Council welcomed the Chair of the National Endowment for the Arts, Jane Chu, as our keynote presenter at Start with Art. Ms. Chu shared with us the importance of the arts on our daily lives and how creativity connects us to our communities and to each other. The time is now to make your voice count! We need to let our congressional representatives know that the arts are important and that federal funding of the arts is absolutely essential to keep the arts thriving in Indianapolis. Click here (http://bit.ly/2mOyHK4) to find your representatives and how to contact them. A phone call to your representative is the most powerful and direct way to make your voice be heard. You can also become an Arts Action Fund member (for free) by signing the national petition (http://bit.ly/2nt8KTs) to the President to support the arts in America. Every voice is important. Sign the petition , contact your legislators, mobilize your friends, and get involved.